Piece of leather that the player uses to catch the ball; adapted to the dimensions of a softball, it is longer and wider than a baseball glove. 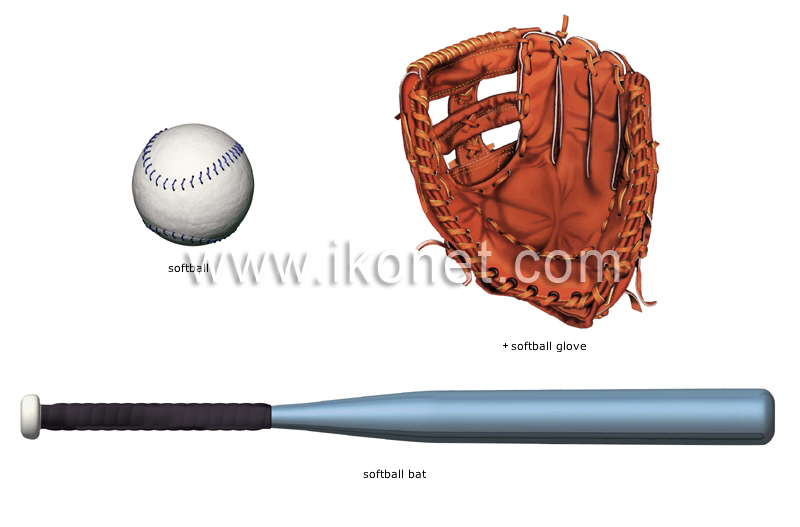 Hard ball with a circumference of 30 cm; it is manufactured in the same way as a baseball. Piece of wood or aluminum that the batter uses to hit the ball; it is shorter and smaller in diameter than the baseball bat.